Like many others, I like to spend summer somewhere warm, and most of my summers are spent in Spain, which often means long hot days with sand, salty water and insects. 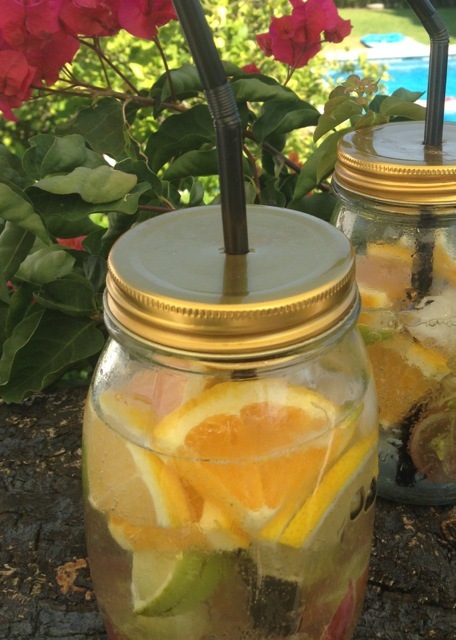 So to make sure I always have my drink clean and cold, I went to the local shop and bought some jars with nice lids. I got my son to make holes in the lids with a screwdriver to fit a straw. 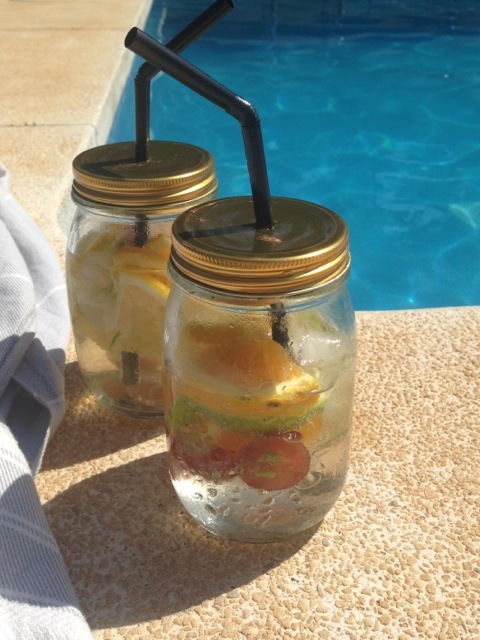 A perfect glass container to bring to the beach or poolside or for a picnic. You’ll avoid sand, wasps and spilling! Or skip the wine and replace it with sparkling water for a non alcoholic drink!